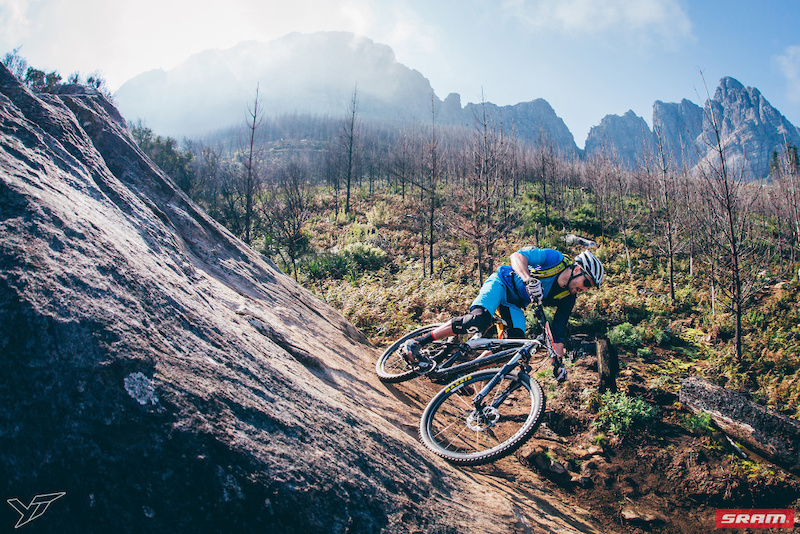 STELLENBOSCH - Gert Heyns (Scott LCB Factory racing) took out the win in Round Two of the SRAM Gravity Enduro Series presented by YT Industries on Sunday 31 July 2016 held at Jonkershoek. Heyns, better known for his prowess as marathon and cross-country racer surprised himself and the other top contenders by taking the win ahead of Lance Morris and Theo Erlangsen. Heyns’ combined time of 17:01,8 was eight seconds faster than second place, with all of the top six completing the four-stage event in under 18 minutes. “I really enjoyed the event,” Heyns commented afterward, visibly elated with his win, although it wasn’t his first enduro title. “I’ve always liked the gravity side of things and about a year ago I bought an enduro bike, just for fun - mostly just to practice my skills and enjoy the trails. The week I got the bike there was an enduro happening so I took part and surprised myself with the win,” he said. While that may have been a factor on the day, conditions certainly weren’t. Sunday 31 July proved the ideal day for enduro racing, as it day dawned cold and misty but cleared up during the morning. There had been a fair amount of rain in the week leading up to the event, leaving the trails grippy and dust free for the 90-odd riders to take on the four timed stages. And he will most likely be in the hunt for a few more titles this season. “The rest of my racing season is pretty relaxed and I can do the events I want to do and I think there are a few of the enduro races that fits into my schedule so I’m going to try and fit them in.